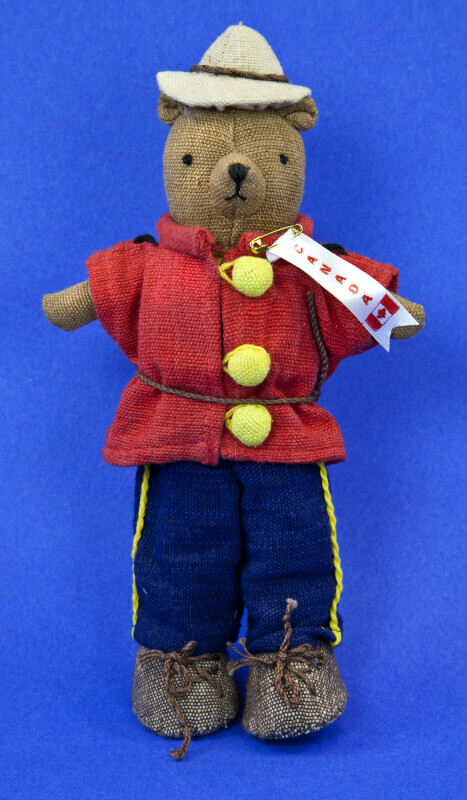 Stuffed cloth bear, dressed as a Canadian Mountie (Royal Canadian Mounted Police). He is wearing a wide, flat-brimmed Stetson hat, a high collared red tunic with yellow buttons, and blue breeches with a yellow leg stripe. Tag: "Handcrafted by Nagi for Petticoat Doll Company." The figure stands 8 inches (20 cm) tall.